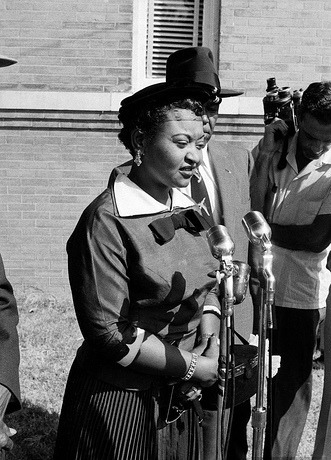 The U.S. Department of Justice has once again reopened the infamous Emmett Till case. The 1955 murder case was a major turning point in the Civil Rights Movement and one of the most notorious murders in United States history. In August 28, 1955, Emmett Till, who was 14, was murdered in the town of Money, Mississippi by Roy Bryant and his half-brother J.W. Milam after Bryant’s wife Carolyn alleged that Till whistled at her and groped her. Bryant and Milam abducted Emmett Till from the home of his great-uncle, beat him, shot him in the head and dumped his body in the Tallahatchie River. Till’s body was weighted down by a cast iron cotton gin pulley. Three days later his corpse was recovered from the river. Till’s body was sent to his mother, Mamie Carthan Till, in Chicago. She demanded that her son would have an open casket funeral. The decision would lead to worldwide press attention after hundreds of attendees were given full view of Till’s mutilated corpse. The Black Press, led by Jet magazine, widely covered Till’s murder, featuring several jarring photos. In a Justice Department statement on July 13, the reason given for reopening the Till investigation was related to, “receiving new information.” However, the Justice Department did not detail exactly what the new information was. According to USA Today, the decision was revealed to Congress in a February report, but it is unclear what the Justice Department is prepared to act on. In September 1955, Bryant and Milam were acquitted by an all-White jury after less than 90 minutes of deliberation. Till’s murderers later admitted to the crime in a 1956 interview for LOOK magazine. Bryant died in 1994 and Milam died in 1980. CNN.com reported that, “‘Several interested parties’ asked the Justice Department in 2004 whether any surviving suspects could be prosecuted.” At the time the Justice Department determined that the statute of limitations prevented any federal prosecution, according to CNN.com. “Three years later, a Mississippi grand jury declined to issue new charges,” CNN.com reported. 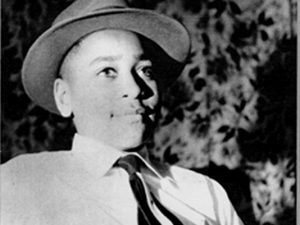 Many have speculated that the reopening of Emmett Till’s death by the Justice Department is related to last year’s publication of the book The Blood of Emmett Till, by author Tim Tyson. Tyson’s book revealed that Bryant’s ex-wife, Carolyn Bryant Donham admitted in 2008 that she lied when she claimed Till whistled at her, a tale she would later tell her husband that set off a chain of events leading to Till’s murder. In 1955 Bryant Donham was 21 year-old former beauty queen; now, she’s more than 80 years-old and living in North Carolina. The original casket of Emmett Till was donated to the Smithsonian Institution and is now displayed at the National Museum of African American History and Culture. Lauren Victoria Burke is an independent journalist, political analyst and contributor to the NNPA Newswire and BlackPressUSA.com. You can reach her by email at LBurke007@gmail.com and on Twitter at @LVBurke. This article was originally published at BlackPressUSA.com. Are Black Americans close to receiving reparations? Does legalizing marijuana help or harm Americans?